My newest book was released in late 2008 ! Nestled in the "Northern Hill Country" of Texas is the green valley of the Paluxy River. The limestone bed of the Paluxy holds some of the finest dinosaur tracks in the world--many of them within the boundaries of Dinosaur Valley State Park near the town of Glen Rose. This book tells the story of those tracks--from their origins more than 100 million years ago to the first explorers and settlers of this Texas land to the hard-fought battle to preserve the area as a park. Firsthand accounts of work and recreation in the valley bring the story to life. The first dinosaur tracks were discovered in the region 100 years ago---in 1909. Ultimately they caught the attention of an intrepid dinosaur hunter--Roland Bird, whose sauropod track discovery shook the international paleontology community. Personal letters, interviews, and photos tell the story of Bird's find and his work to quarry part of the Paluxy trackway now on display at the American Museum of Natural History in New York. Dinosaur Valley State Park is home to the tracks of the Paluxysaurus--the Official State Dinosaur of Texas! 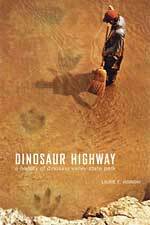 Dinosaur Highway weaves local recollections with recreation history, archival documents, and scientific facts to produce an engaging work to entertain history buffs and dinosaur enthusiasts everywhere. More than 100 illustrations--including photos, postcards, maps, sketches, and paintings. "The dinosaur tracksites of the Paluxy River's exposures of the Glen Rose Formation are among the most important in the world. 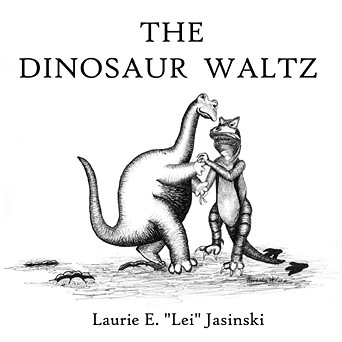 They figures prominently in historical debates over the lifestyles of the huge sauropods and continue to be important for understanding dinosaur locomotion, behavior, and paleoecology....Jasinski has ferreted out some nuggets about the history of Glen Rose dinosaur track work that even I didn't know...."
Read more about Dinosaur Highway and order your copy ! Find out more and order your personal CD! 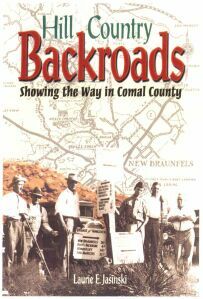 Copies of my first book, Hill Country Backroads are still available. Read more about it!